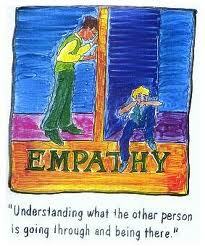 What can support you to develop practices of embodied empathy and to bring them to others in your daily life? Learn how to overcome obstacles and to develop practices that can give you (and others you care about) creative pleasure and empathetic listening. Participants are asked to try something out between classes with a friend, family member, co-worker, or group they are part of. We’ll explore together how to support each other to be successful. Facilitators: Anne and Christopher Ellinger and possibly other and guest teachers from the True Story Theater troupe. Please fill out this form to register no later than Wednesday, November 5th or email Anne(@)TrueStoryTheater.org. Cost: The price per class is $15 if you register for at least four sessions by November 5th. Drop ins will be $25 per class. Sorry, no refunds for cancellations. Please pay by November 5th either online at paypal.me/TrueStory (and be sure to include your name & email), or mail a check to True Story Theater, 21 Linwood St, Arlington MA 02474. If money is an issue, please talk to us to explore a work exchange.